The ability to READ, WRITE, and COMMUNICATE connects people and empowers them to achieve things they never thought possible. Intentional and appropriate use of digital texts and tools can build children's language and literacy skills. ILA Members: The election closes at 5:00 p.m. ET on May 8, 2019, so vote today! Just posted! 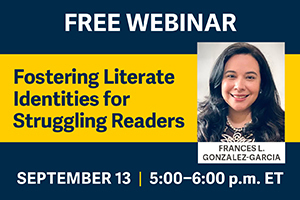 Check out the sessions for this special event that addresses biases in literacy instruction. 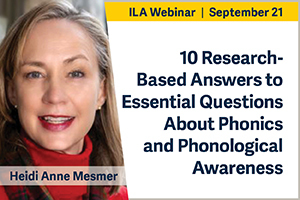 Read about the inner workings of the International Literacy Association—including Board minutes, committee and task force news, special project announcements, and more—on the ILA Updates page.